Let’s start with the ugly. I sustained a non-running running injury — a foolish slip in the bathtub that sprained my left big toe and affected my ability to run. If you don’t want to see my ugly foot, start scrolling now. I have been struggling to get in my running over the last couple of weeks. It’s hard to get motivated to go out the door when it’s 4 p.m., 40-something degrees out, and starting to get dark. Yesterday I was supposed to do a 7-mile tempo run and I came up with every excuse not to do it until I finally just forced myself out the door. I only ran 5.6 miles before I had to take my youngest daughter to gymnastics, but 5.6 miles is greater than 0 miles (I was a math minor in college, can you tell?) and I was super proud of myself for getting those miles in. I ran the first half (the uphill portion) at an 8:55 pace and the second half (the downhill return portion) at a 7:49 pace. Normally I’d choose a flat stretch for a tempo run but when you live in “the Heights” you take what you get when you run out your door. And finally, two pieces of good news. About five minutes after I posted this post about how my husband lost his job, I got a call offering me a job as a substitute instructional assistant, helping out the main teachers in special education classrooms in the district. The hours are perfect and allow me to drop off and pick up my girls from school. If I cannot work one day, I can specify that I am not available that day. Supposedly there is enough work to work every day if I want, but we’ll see when the job starts after the holidays. And Santa heard my wish for an ElliptiGO! My parents gave me one for an early Christmas present! Mike and I drove back out to Hermosa Cyclery on Thursday and picked up my Green Machine, an ElliptiGO 8C! 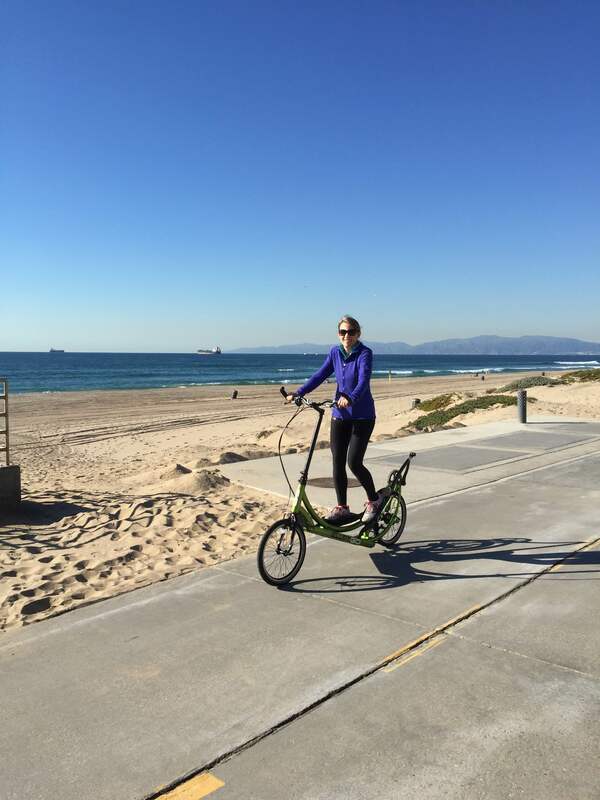 Normally I would wear a helmet but we just took the ElliptiGO for a quick spin on the Strand at Hermosa Beach to make sure it was assembled correctly. Have you ever sustained a non-running running injury? 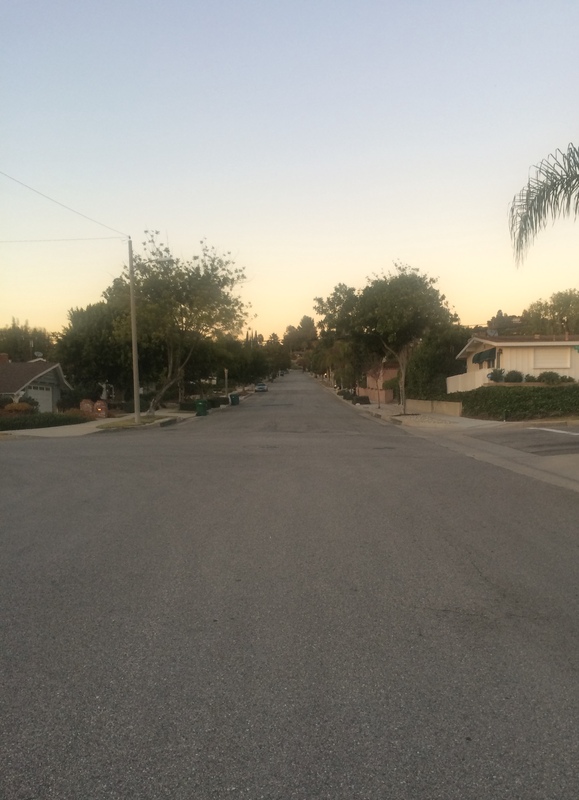 Do you like hill repeats? What gift is on your wish list? Mike and I performed in six shows of the Nutcracker ballet, playing the parents of our “party boy” and Chinese dancer. It was such a joy to be a part of the production and to watch our golden girl thrive on the performances. She will soon go en pointe in ballet, and gets to play one of the lead roles in the summer production of Alice in Wonderland! It was fun to trade my typical running clothes for this gorgeous Victorian gown for a while! My oldest daughter is applying to a special program in high school next year, and was recently selected to lead a flute ensemble in 8th grade band. And my youngest daughter is ready to begin competing in swimming and has nearly mastered the splits in gymnastics! We are so, so lucky in many ways. Thank goodness we had set aside a “rainy day” fund just in case, and have family members who are willing to help us through this difficult time. Life goes on as normal for the girls, and that’s the best that I could hope for right now. I had just started training for the Boston Marathon — literally two days into the 20-week plan — when we learned that Mike lost his job. Suddenly marathon training seemed trivial and inconsequential. Why should I take time each day to exercise when I have more pressing things to do? But I quickly realized that it was more important than ever that I keep on exercising, for my mental health as well as my physical health. And it was important that I drag my husband along too! We love to spend time together and it feels like an odd sort of luxury that he is home and can go out for a four mile hill run with me on a random Tuesday morning. So I’ve kept up with the plan, no matter how much I haven’t wanted to head out the door. I always feel a million times better when I get back from a run than before I went out. And last Sunday was no exception. I had a 12 mile long run on the training calendar. It was a cold morning (by SoCal standards — low 50s maybe?) and the whole household was still asleep, but I forced myself to hit the road and I was so glad I did. I haven’t had such a strong run in a long time. You might recall that in my training for REVEL Canyon City, I was running 4-5 times a week and pretty much ran myself into the ground. Every run felt like a slog. Now I’m back on a plan of three runs per week plus two sessions of cross-training (bike, ElliptiGO, or Insanity workouts) and two strength training sessions. The runs are harder — a hill or speed workout, a tempo run and a long run — but because my legs are fresh for them, I feel strong and powerful! I’m back to the joy of running, and so grateful for that, now more than ever. And guess what’s the best news of all! Santa heard my wish and I’m getting an ElliptiGO for Christmas! My parents have always been extremely supportive of me and my training, and they knew how much it would mean to me to have an ElliptiGO for those cross-training sessions. I can hardly wait to head out to Hermosa Cyclery again this week to pick out my very own Green Machine (yes, I’ve already chosen the color and named the ElliptiGO). So please be sure to count your blessings, set aside a rainy day fund, and send some good thoughts Mike’s way in his search for a new job. If you are lucky enough to get to participate in a Ragnar Relay, these 20 tips can help you get the most out of the experience. It takes a lot of planning, coordination and cooperation to get 6-12 runners happily across the finish line of a 200-plus mile relay race! Finish line arch at Ragnar Napa Valley 2014. Before the race, take these 10 steps to prepare you and your teammates to tackle 200+ miles! 1. Form a Facebook or other networking group with your teammates. Before I ran Ragnar Napa Valley I only knew one of my teammates, my college roommate and sorority sister Renée. It was very helpful and fun to get to know the other 10 runners and two drivers through our “secret” Facebook group in the months before the race. Communication is the key when planning a relay race, and it is extremely helpful to have a system set up so that everyone’s on the same page. 2. Be honest about how many miles total you think you can run, and help your team captain make runner and van assignments appropriately. Legs on Napa Valley ranged from 12.3 miles total to 26.3 miles total. That’s one of the great things about a Ragnar Relay — that it allows runners of all abilities to come together as a team. If you can train up to run a half marathon, you can run a Ragnar Relay. The team captain assigns legs to each runner, and runners 1-6 go in the first van, and runners 7-12 go in the second van (or if you’re on an ultra team, all 6 runners go in one — sometimes two — vans). It’s helpful to realize that you will spend the vast majority of time with your van mates, and you will only see the runners from the other vans at major exchanges (6, 12, 18) — which is why it’s also fun to room together the night before the race and the night after, if possible. 3. Estimate your predicted running pace as best you can. When you log in to the Ragnar website, it asks you to enter your 10K pace. The Ragnar calculations assume that you’ll run your first leg at about that pace, the second leg 5% slower than that, and the third leg an additional 5% slower. Be careful not to put in a 12-minute mile pace when you actually run 3 minutes per mile faster than that (which you might very well do when the adrenaline of the event hits!) Ragnar uses your estimated time to assign your team’s race start, and your teammates use your estimated time to predict when to meet you at the next exchange. It can be tricky to manage the timing (I confess that van 2 was late to TWO exchanges — not enough to make a difference in our final race standings, but certainly frustrating to the runners waiting to pass off the slap bracelet to the next runner). 4. Pack wisely and store your clothes and gear in Ziplock bags for each running leg. Consult one of the many Ragnar packing lists available on the web and make sure to pack the essentials. The trick is to pack everything you’ll need while still saving as much room in the van as possible. By packing your clothes for each leg in a Ziplock bag, you’ll have a place to put your sweaty, stinky clothes when you’re done with each leg. 5. Pack cellphone chargers and car accessories for charging your team’s cellphones on the go. As I said, communication is the key, both before and during the leg. While you might not always have cellphone reception when you’re on the course, it is a good idea to have your phone with you at all times so you can communicate from van to van and runner to runner. It’s unlikely the cellphone battery will survive the number of hours you’re away from an outlet, so having a way to charge your phone in the van is very helpful. 6. Print and laminate your running leg maps. The Ragnar Relay courses are well-marked with large signs and even flashing lights for the night legs. However, it’s a sad fact that sometimes signs get stolen, or you mis-read the directions. The best tip I heard from the Ragnar staff: follow the directions on the sign at the point at which you could actually hug the sign — so don’t turn left on the street before you cross the street and reach the sign, but rather, cross the street to reach the sign — almost hugging it — and then turn left. I didn’t heed that advice one time and I started to go off course in the middle of the night, and thank goodness another runner called out to me. If she hadn’t though, at least I would have had a small, laminated map in my running belt. To laminate the leg maps I could have gone to Kinko’s or the like, but I just used my home printer and clear packing tape. We did have another runner on our team get lost in the middle of the night and add nearly a mile to her total (another good reason to carry a cellphone with you, along with fresh batteries in your headlamp). 7. Share cellphone contacts. As I said, you’ll want to be in contact between your vans and between runners at various points over the two days. One of our team members put together a list of all 14 cellphone numbers so we could plug those into our phone contacts list in advance. 8. Divvy up the duties for creating running costumes, planning how to secure and decorate your team vans, buying food, and arranging lodging. Who’s in charge of renting the team van(s) (or who has an SUV to loan to the cause)? Who will order the matching costumes (come on, you’ve gotta have costumes — that’s half the fun of a team relay!)? Is each person in charge of his or her own food and sports drinks, or is someone willing to make a Costco trip for the group? 9. Buy real food! Speaking of food, it’s great to bring your typical running fuel to recover after you finish a run, but you cannot survive an overnight relay race on protein bars and sports drinks alone. Some of the best food I ate on the journey was what I call “real” food: a plain mini bagel with natural peanut butter; beef jerky; coconut water; oranges and apples. Once your relay adventure begins, these next 10 tips will help you have the most fun! 11. Be a team player. Normally when you run a race it’s all about you. Ragnar is all about the team! Cheer on your fellow runners. Be waiting at the end of a leg with water and a snack for the runner coming in. Share your baby wipes and toothpaste (the toothbrush might be going a little far….) Be considerate and extra kind. You’re in close quarters with several tired and hungry people. It makes for great bonding but it takes great investment, too! 12. Expect the unexpected! You never know what’s going to happen on a Ragnar relay — that’s part of the adventure and the fun! Never did I think I’d be out running past a cemetery at 3 in the morning, but that’s what happened on my second leg! Just a little incentive to make me run faster, right? 13. Turn on your cellphone in the van, and remember to turn off your cellphone during any precious opportunities to sleep. Gosh I wish I’d known about “sleep mode” on my iPhone (and I bet my teammates wish I had too). You might be conked out at 10 p.m. on a sleeping bag in a park, but your family and friends will want to check on you. Just make sure your phone won’t ring or ding when they do! 14. Never pass up an opportunity to use a restroom or porta potty. Seriously. Don’t. 15. Stay hydrated and well-fueled. Seriously. Do. Running three times over the course of 30+ hours makes for a definite challenge in the fueling and hydration department, especially when you’re trying to eat and drink on the go with less-than-ideal food choices. Pack some staples that you know work well for you — as I said above in tip #9, a plain bagel and peanut butter worked well for me. Make sure in all the excitement that you are taking the time to drink some sports drink or coconut water and eat enough food to fuel your for your next leg. 16. In between your running legs, stretch and use a “stick” or other tool to roll your muscles. It can be especially difficult to stay limber when you finish your run and hop right back in the van to drive to the next checkpoint. A small “stick” or even a rolling pin can provide much-needed relief on the go! 18. Cheer on the other Ragnar teams and runners, not just your own. Ragnar is a giant people-watching fest! Many of the teams get exceptionally creative with their costumes and decorating their vans. Some even go the extra mile and create magnets to use to “tag” other vans. It’s all in good fun, and cheering on other teams gives you a boost of energy, too! 19. Catnap. A little sleep goes a long way (pun intended) in covering 200+ miles of the Ragnar journey. A neck pillow can help you sleep in the van, and earplugs and a good sleeping bag will help you catch some ZZZs at the major exchange points. 20. Celebrate your achievement! Gather your team together just before the finish line to meet runner 12 so you can all run to the finish line as a team. If you can, have everyone stay at a hotel or house for an extra night of camaraderie after the race. 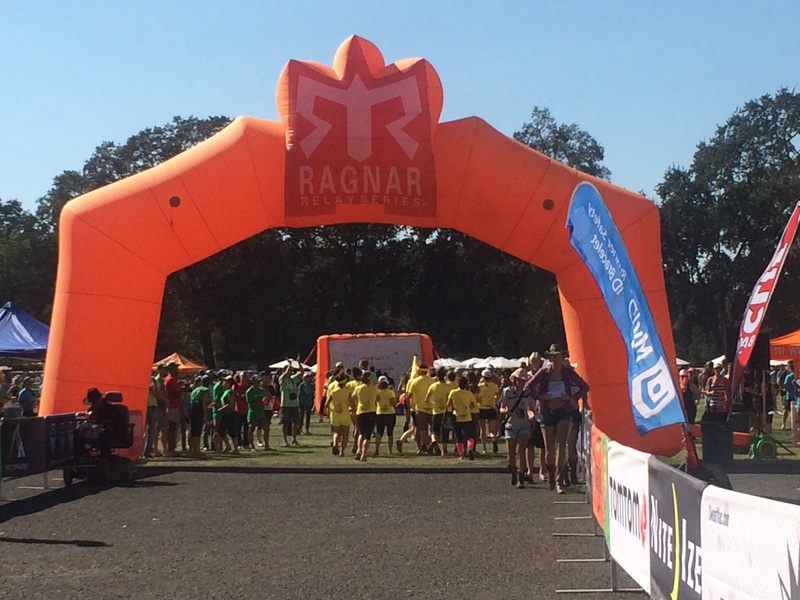 Do you have any tips for a Ragnar relay race?